Nightly (www.nightly.travel) is, genuinely, a hotel booking website with a difference. And you can’t say that very often these days. Another upside of Nightly is that it can show you good value hotels which, because they are only available for some nights of your stay, would show as ‘sold out’ if you tried to book them for the full duration. Nightly will not recommend more than two hotels per trip, so you are only looking at one possible change of location. This clearly isn’t something which appeal to everyone. I did a lot of hotel hopping in my pre-family days but that was mainly to maximise bonus point promotions or because I didn’t have enough points in a particular hotel programme. If the inconvenience of switching isn’t huge, you might find that Nightly offers you savings you would otherwise miss. Note that, from a miles and points perspective, bookings via Nightly will be treated as ‘third party’ bookings. They will not earn you points in any hotel loyalty programme and your status benefits may not be recognised. 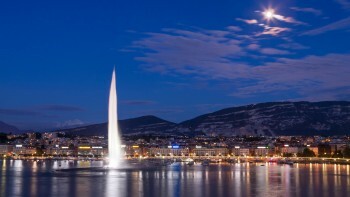 SWISS has launched a £25 discount code for flights between London Heathrow / City and Geneva. The code you need, which must be added to the SWISS website here, is SWISSUKGVA17. You need to book by 15th July and complete your travel by 15th September. A minimum spend of £95 is required. Priority Pass recently added The Grain Store restaurant at London Gatwick’s South Terminal to its network, as you can read here. This is an excellent deal. You receive a £15 credit at The Grain Store towards food, drink, takeaway, whatever simply by showing your Priority Pass lounge access card. (It also works with Lounge Club which comes with the free Amex Gold). If your Priority Pass card allows you to bring a guest for free, which it will if your card is issued by Amex Platinum, you can have £30 of free stuff. Wok on Air, located in Terminal 3, providing customers with fresh and healthy Asian classics, all prepared to order in less than five minutes. Priority Pass members receive an AUD$36 credit off the final bill at each outlet, for themselves and their guests. Each AUD$36 credit will represent a single lounge visit within their existing lounge visit allocation. EXCELLENT Avios-earning Qatar Airways sale deals, from £833! That’s odd. After clicking ‘contact us’ when signed in you should get an option on the right of the screen that says ‘Email American Express’. Clicking that should bring up the secure message centre. Try a different browser perhaps? OT: I think I’ve come unstuck with the PRG-Platinum upgrade. It wasn’t an automatic approval and five days on all I can get out of them is that it’s stuck in their back office for further checks. I’ve had a 100% automatic approval rate with amex to date so I’m wondering if perhaps the upgrade link triggered a red flag. Almost certain it, and PP, will now not arrive before our European tour. No great loss really as I have lounge pass for EDI and FCO, CPH lounge closes before flight and TXL lounge is inconveniently landside. I will provide a further update if anything develoosbto suggest an issue in using the upgrade link. I used the upgrade link yesterday and go automatic approval. Everything at TXL is landside, each gate has its own security and passport control and there is basically a holding pen once you go through so I would leave it as late as possible to go through. On a new application our Priority Pass cards arrived before we got anything from Amex themselves so don’t quite give up hope yet! Thanks Stu, this will be my first visit to Berlin so it’s useful to know the airport set up. There’s not a widespread issue because it’s worked fine for many of us. Thanks everybody, like Louise I have moved in tbe past three years although that dud not stop autoapproval before. I was aware folks were using the link, just wanted to post my issue in event something had changed but since James used it successfully yesterday I doubt that. Probably just bad luck on my part. Nightly seems like a pretty neat site, I like that it tells you the driving distance between hotels. Did a dummy search for Manchester this weekend and the top option was a hotel in Salford Quays and then the Doubletree at Picadilly. Bit of a hassle as a driver (though fine if you were on the tram), next option was the MacDonald followed by the Doubletree, £75 saved and less than 10 mins walk between the two. Can see it being very useful.